You are here: Home » News » Vinyl Fence News » How to install a vinyl privacy fence gate? How to install a vinyl privacy fence gate? Maybe you are still worrying about the rotten wooden fence gate in your backyard, want to remove it and replace it with a new one. 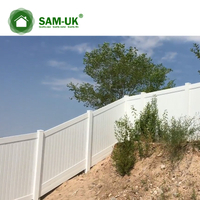 Here we recommend the vinyl privacy fence gate. It will never be as bad as a wooden gate in a short time, and you don't have to worry about the life of the vinyl fence gate. And it has many styles that not only decorate your yard, but also provide some protection. 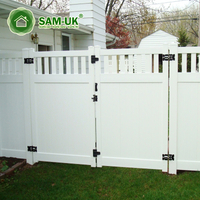 The key is that the installation of the vinyl privacy fence gate is also very simple, let us know. Before ordering, it's important to plan everything! Measure twice and be absolutely sure. 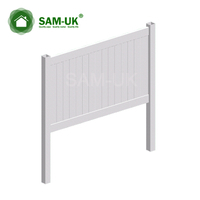 If you want to install the vinyl privacy fence gate perfectly, if conditions permit, you can also ask your engineers friends to discuss it, because you need to calculate the number of panels, columns, end posts, corner posts, and whether you want to merge gate. It will be easier for two or three people to do these jobs. Order and stock delivery. 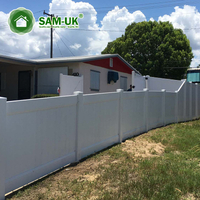 We offer the best quality vinyl privacy fence gates, details can be found on our official website. 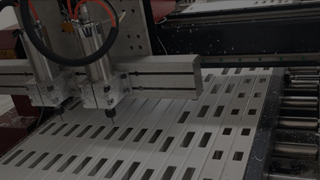 Be sure to check if the parts of the goods are complete, so as not to affect your installation work. Remove your old gate. Next you have to carefully measure and tie the rope to make sure everything is fine and level. You can use some tools to mark where the column holes should be placed. Dig holes. There is no doubt that this is the most troublesome part of the whole process. You need to tap the hole below the frost line (depending on your area and location). Although the excavator is the easiest tool for burrowing, it is necessary to wear gloves for safety. The perforations in the lower part of the fence post should be located a few inches above the ground. An easy way to test the depth is to place the vinyl column into the hole and look at its landing position. Mixed concrete. Be careful not to make the mixed soil too moist, so as not to take a long time to make it solidify. Set up posts and fill in holes. It's time to set up the post. Use a shovel to fill the holes around the vinyl column with concrete. Adjust the post. To completely fill the hole, use a stick or an abandoned fence to push and expel the air from the concrete. Smooth the cement. Use a trowel to smooth and finish the top of the exposed concrete. If the concrete is spread over the vinyl column, don't worry, it will rinse and scratch immediately! Measuring panel. Next, you are ready to start installing the panel. Measure the distance between the two. Setting up posts is complicated during the entire installation process of vinyl privacy fence gate, as explained above. The installation instructions we have are also very detailed. If you have other questions, you can refer to our other articles, of course, you can always consult us.